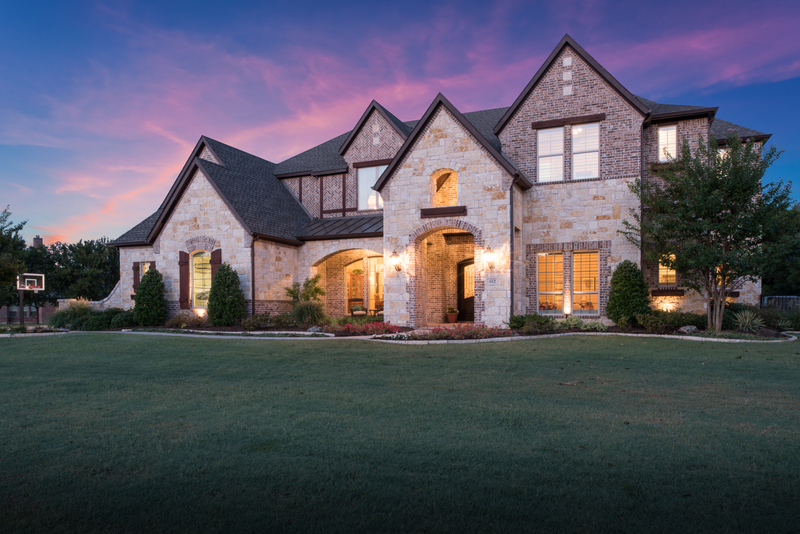 Matlock Real Estate Group is pleased to offer this gorgeous traditional stone and brick 5,855 sq. 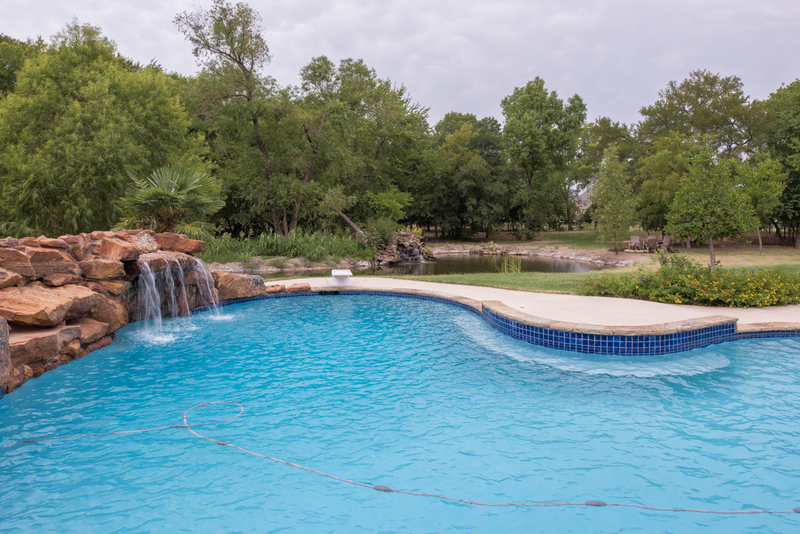 ft. estate home set on a wooded 2 acre property in the highly regarded community of Belmont Park. 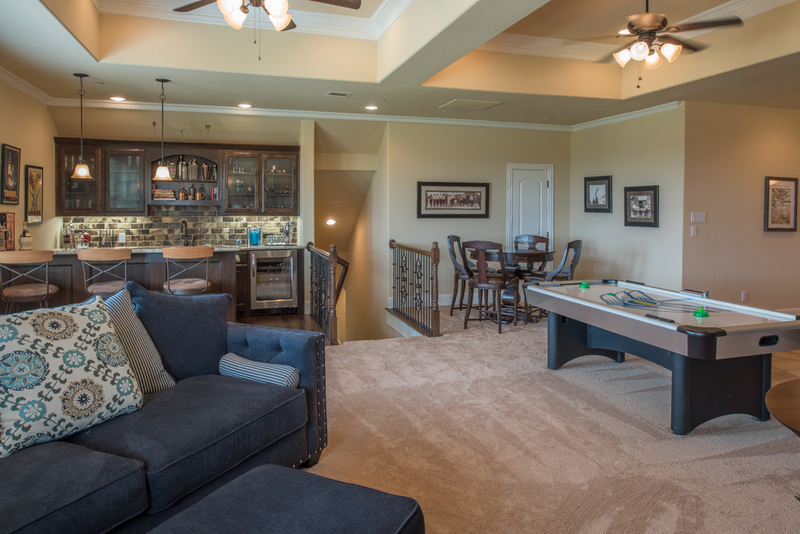 The home offers a very relaxed, open floor plan with spacious living and dining areas. 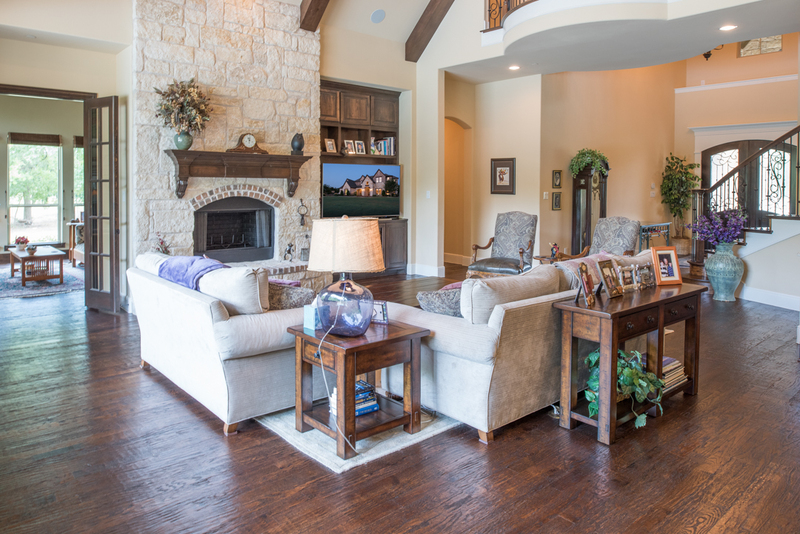 The meticulously crafted interior extends easily from room to room, with lustrous roughhewn wood floors throughout, stylish millwork trim and details, and towering cathedral ceilings. 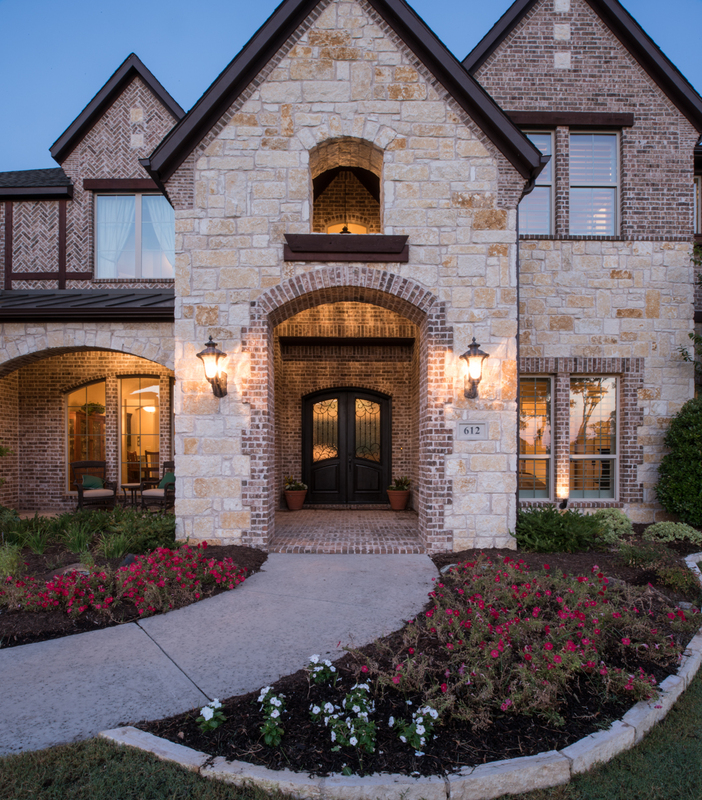 Superior designer finishes throughout includes dramatic hardwood beam trestle and paneled ceilings, floor to ceiling windows, top-quality ceramic tile floors, on-trend wall paint, designer chandeliers and lighting fixtures, along with beautiful coordinating hardwood cabinetry and built-in’s featuring quality details and hardware. 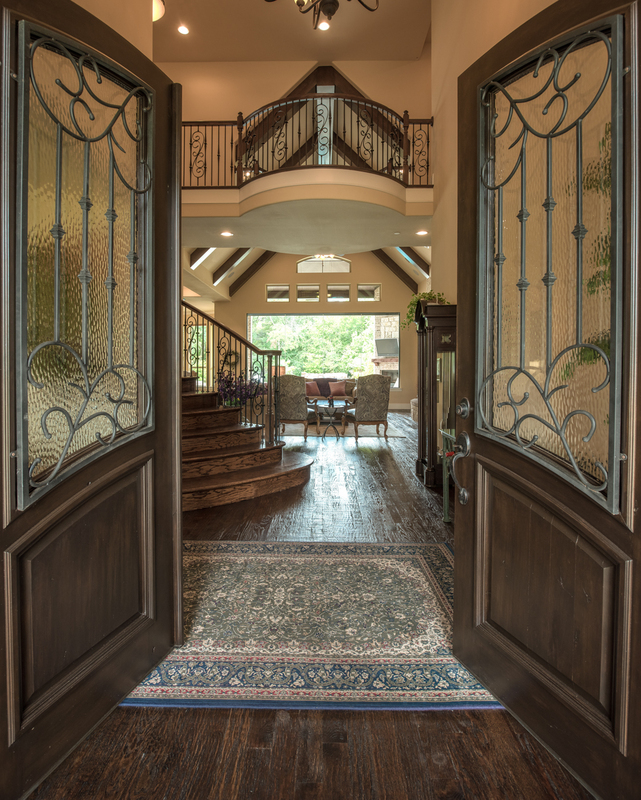 The inviting Entry features a massive custom-made wood and glass double front door, gleaming roughhewn wood floors, and a stylish designer lighting suspended from the towering ceiling above. 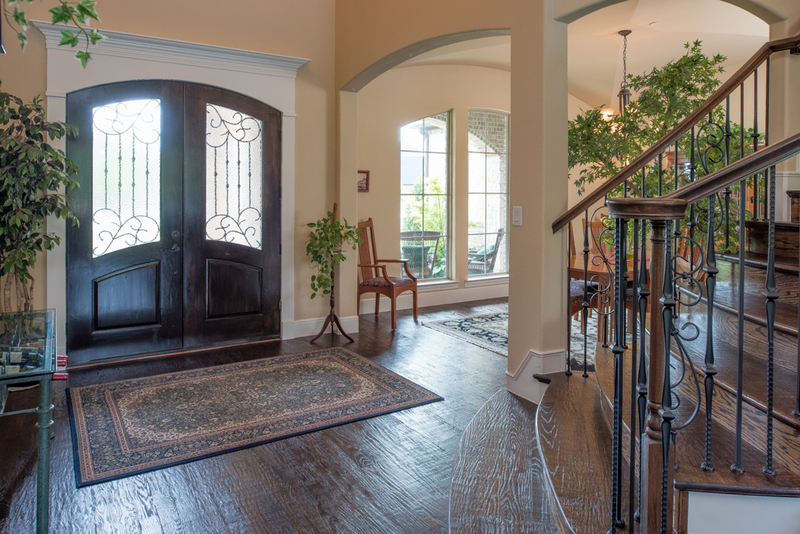 An elegant curved Staircase draws the eye upward to the second-floor cat walk and balcony that overlooks the Entry below. 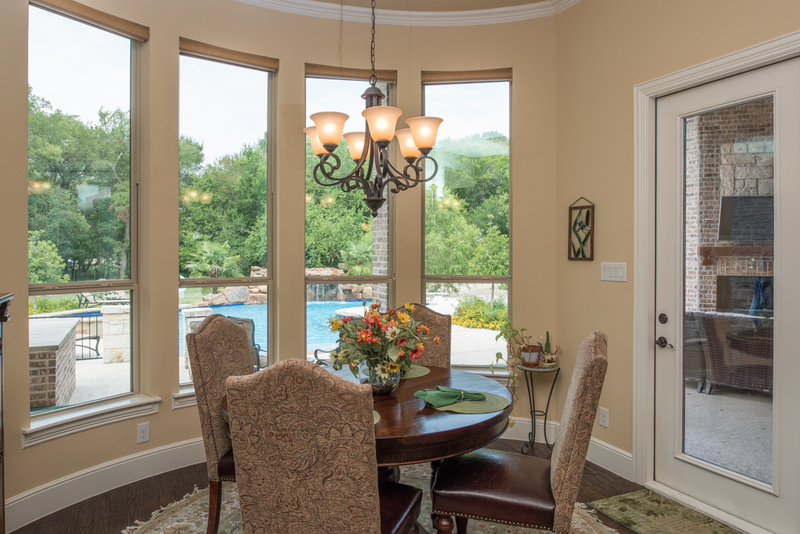 The adjoining elegant Formal Dining Room offers hardwood floors, textured walls with on-trend paint, and a dramatic groin ceiling highlighted with a beautiful chandelier. 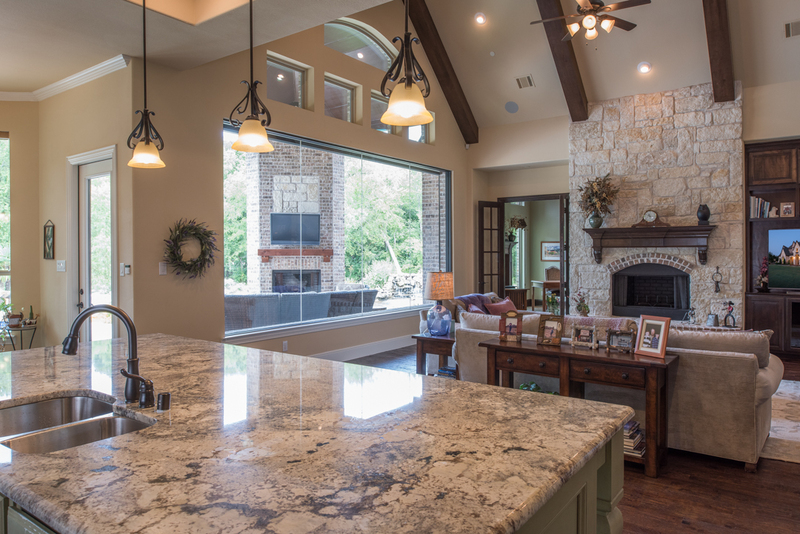 A wall of windows offers views of the front property and a functional Butler’s Pantry with granite surfaces and abundant storage connects to the Kitchen. 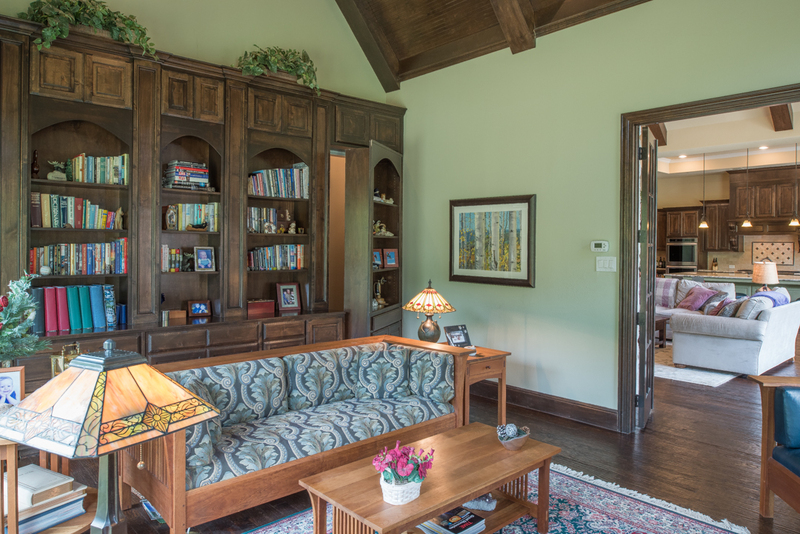 The spacious Study/Library features French doors, roughhewn wood floors, on-trend wall paint, and a stunning cathedral ceiling with hardwood paneling and beams as well as a secret room. 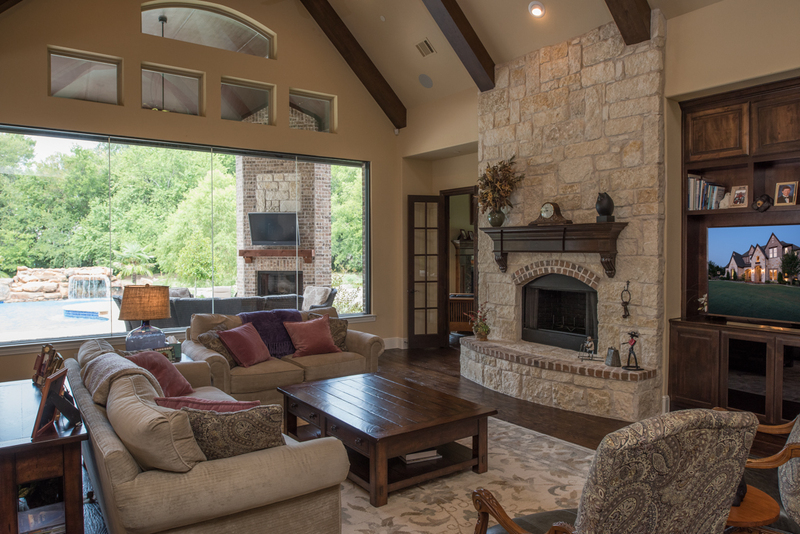 The room features a cozy stone-lined fireplace with custom mantel and a custom-built bookcase with concealed storage space. 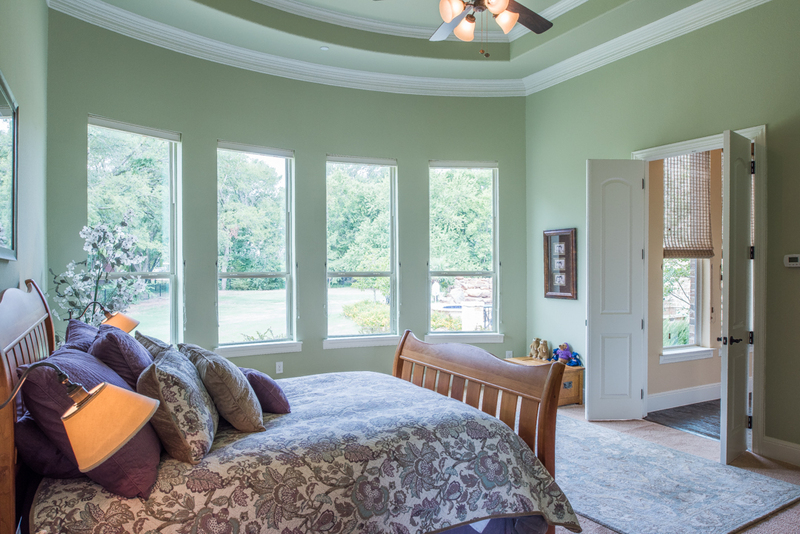 Large windows placed around the room offer panoramic views of the rear property. 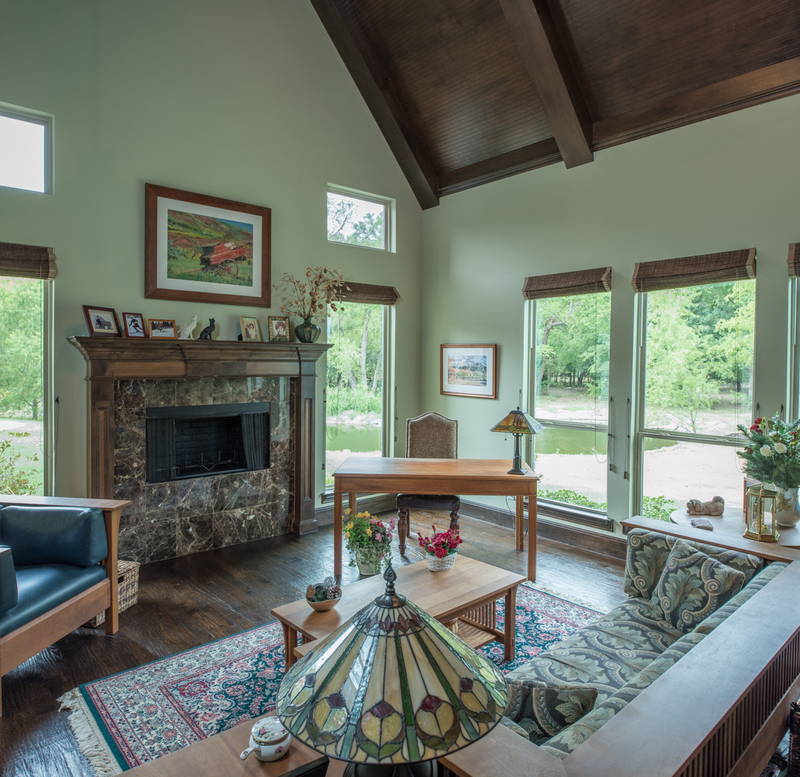 The spacious Great Room offers an oversized window and transoms with unobstructed views of the property while providing a plenty of natural light. 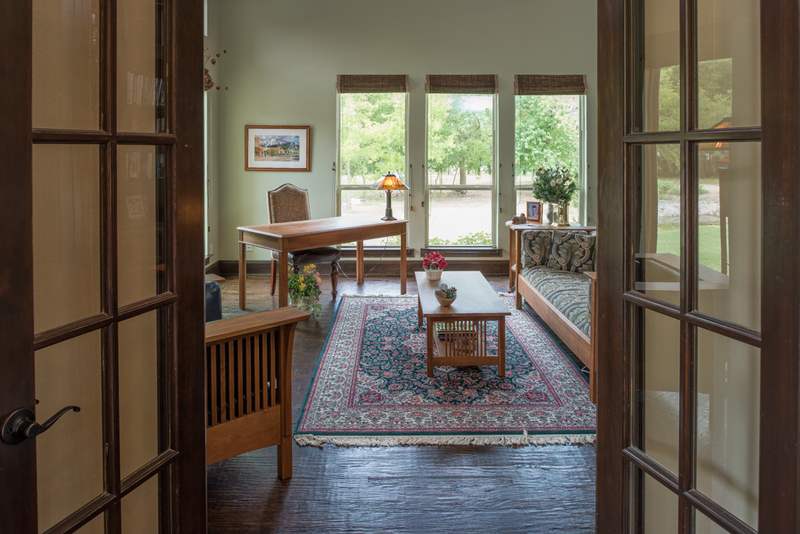 The large room features roughhewn wood floors, a soaring cathedral ceiling highlighted with heavy trestle beams, and a Juliet balcony at the second floor. 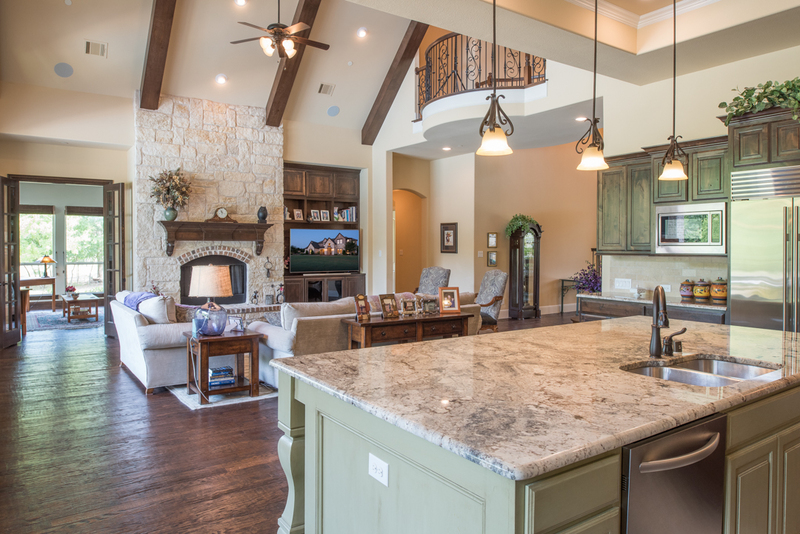 A rustic stone fireplace with custom mantel and a built-in entertainment cabinet completes the space. 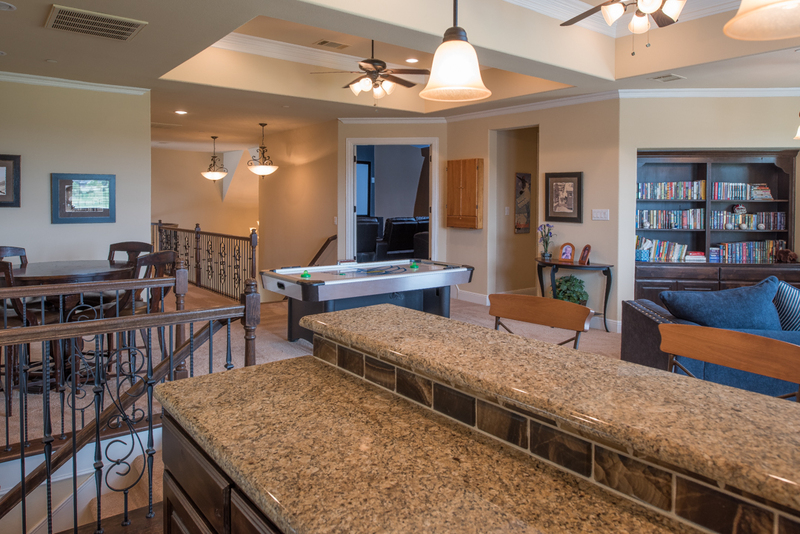 The Great Room is open to the well-appointed Kitchen and Breakfast Nook. 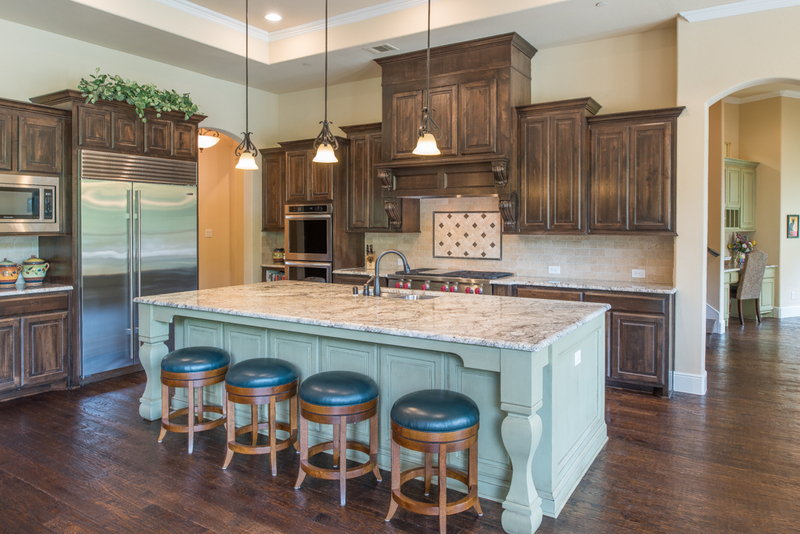 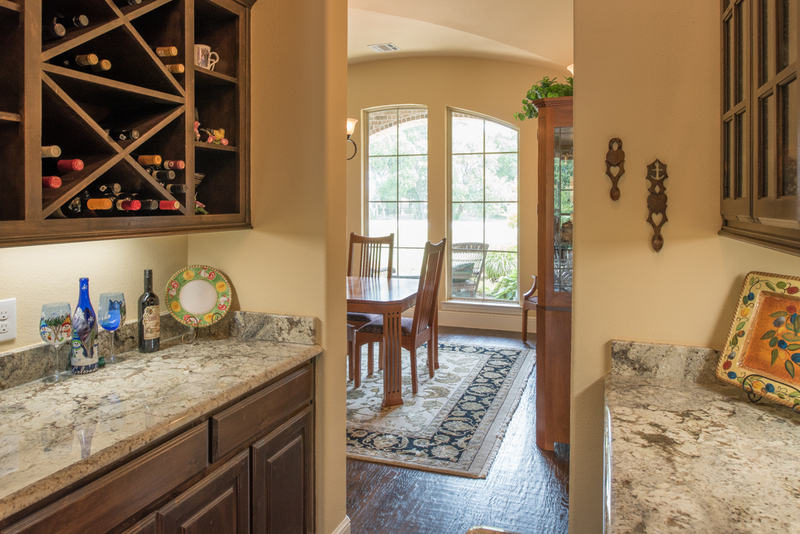 The gourmet Kitchen features the finest custom cabinetry, granite counter tops and tile backsplash. 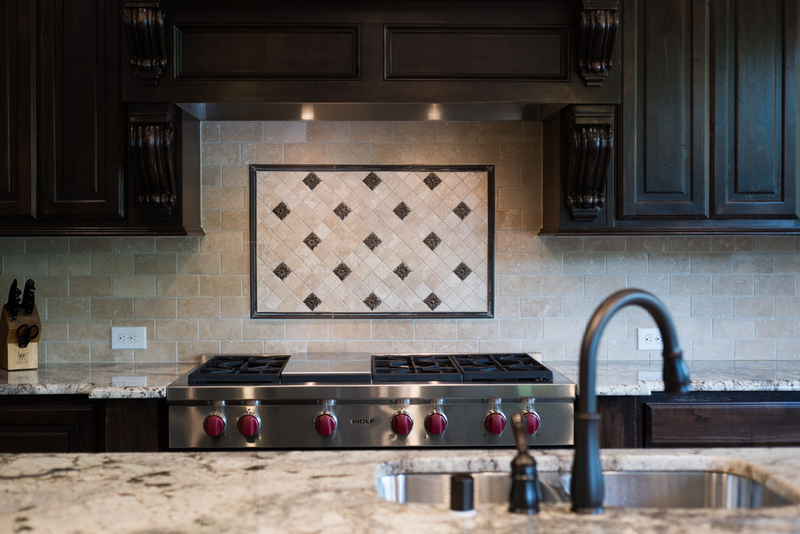 The top-of-the-line appliance package includes double ovens, built-in refrigerator/freezer, and a professional gas cook top under a custom hood. 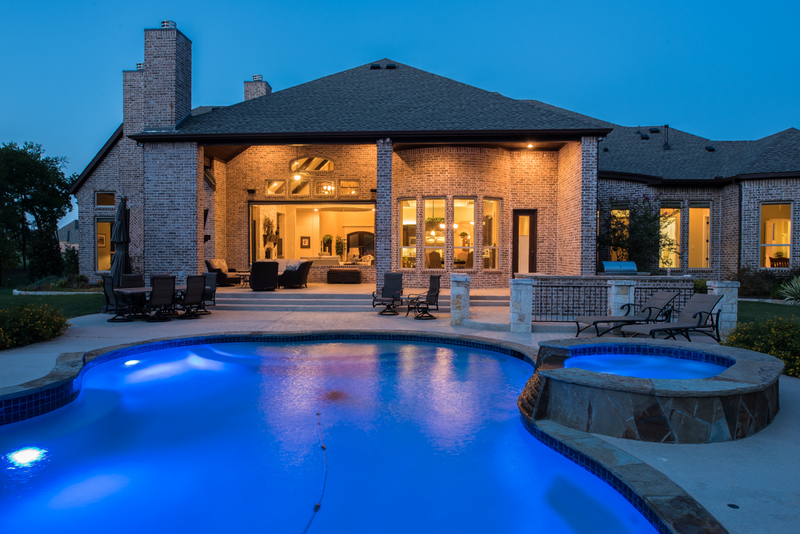 The large contrasting island with seating features granite surface has designer lighting above. 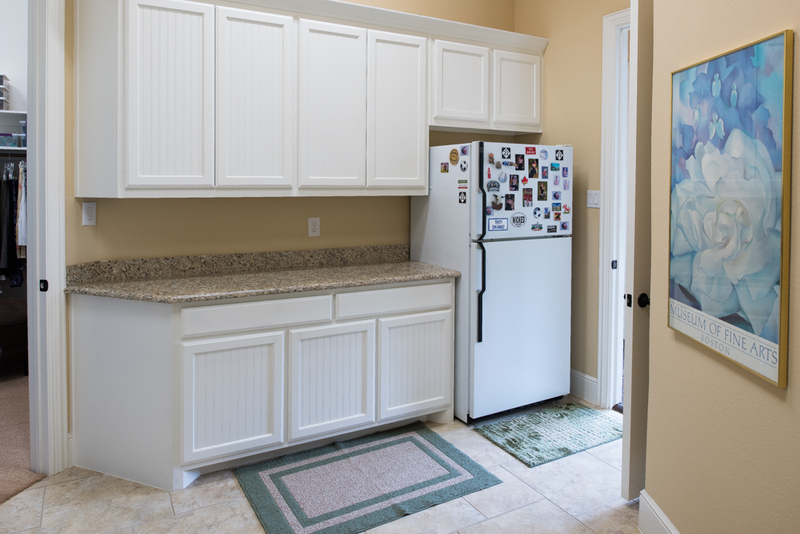 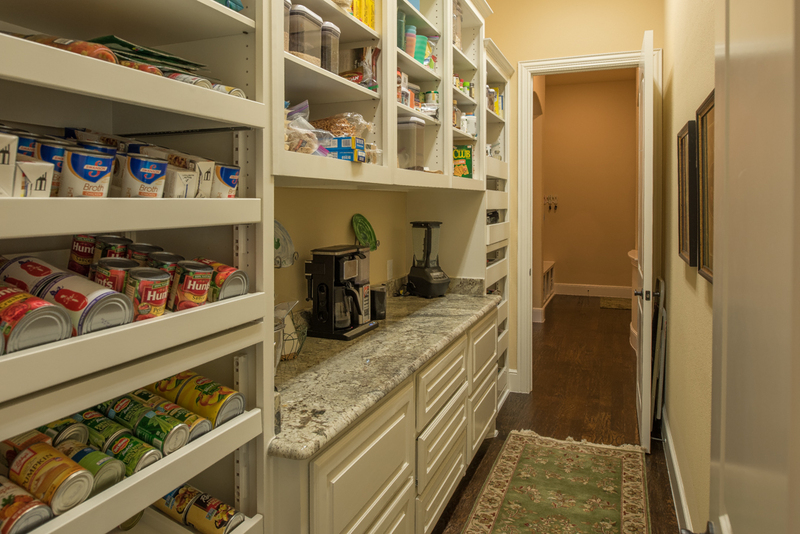 A fully outfitted walk-in Pantry offers custom built-in storage and granite surface workspace. 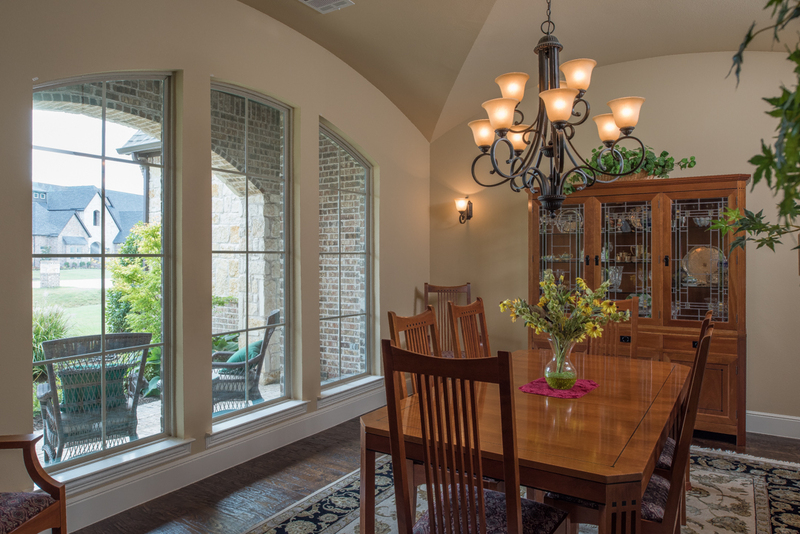 The charming Breakfast Nook features a curved wall of windows and Outdoor Living Area access. 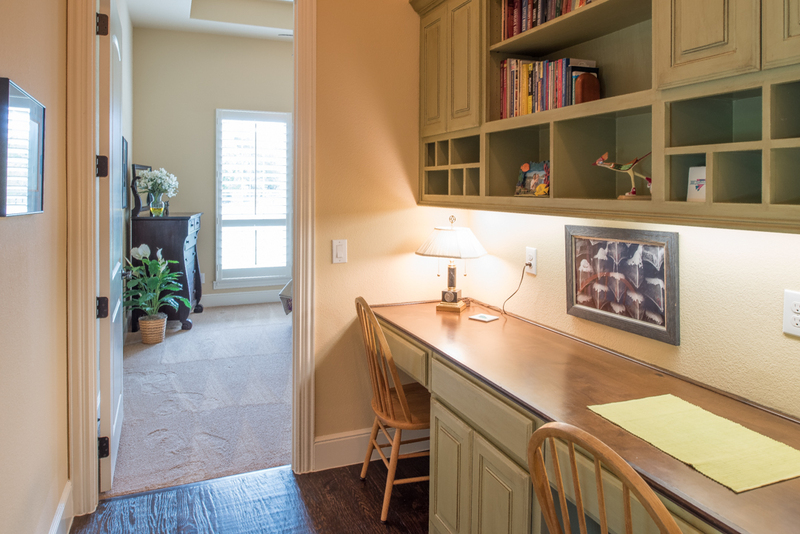 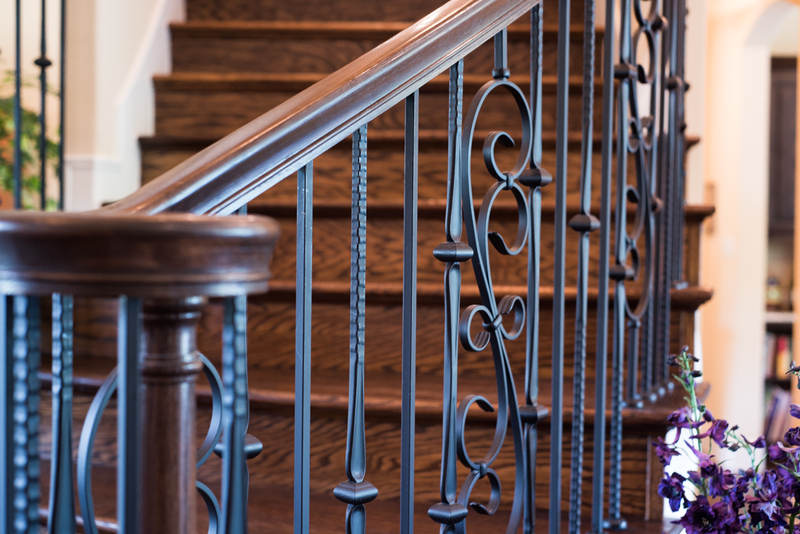 A hallway connects to a handy Home Office with desk and storage along with access to the Rear Staircase and Master Retreat. 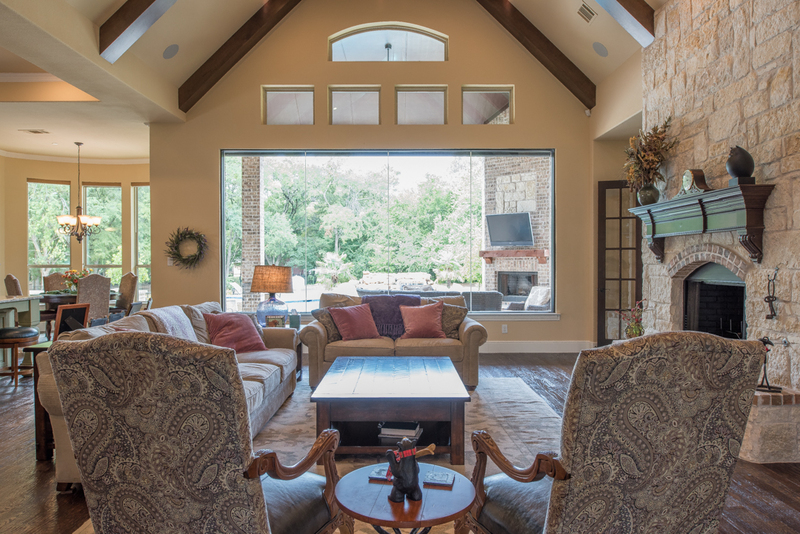 The private, oversized Master Retreat features premium carpeting, custom wall paint, tray ceiling and a windowed sitting area with views of the rear property. 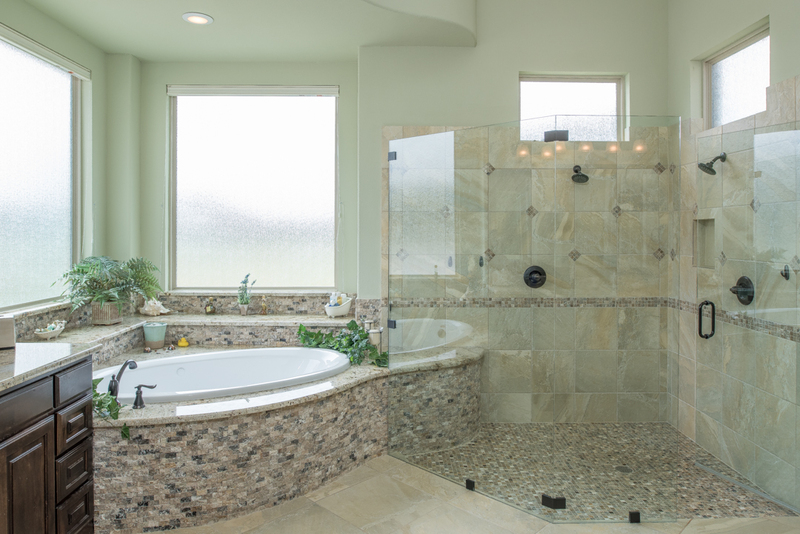 The spa-like en suite bathroom offers top-quality flooring and contemporary wall paint. 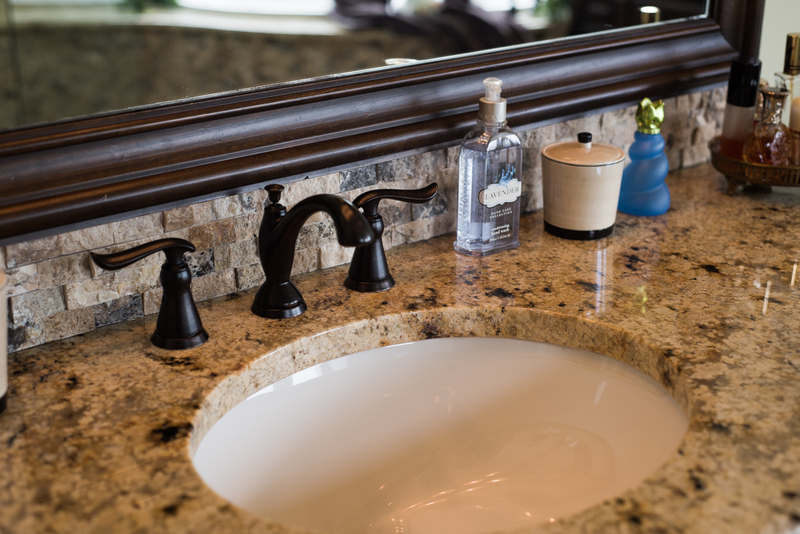 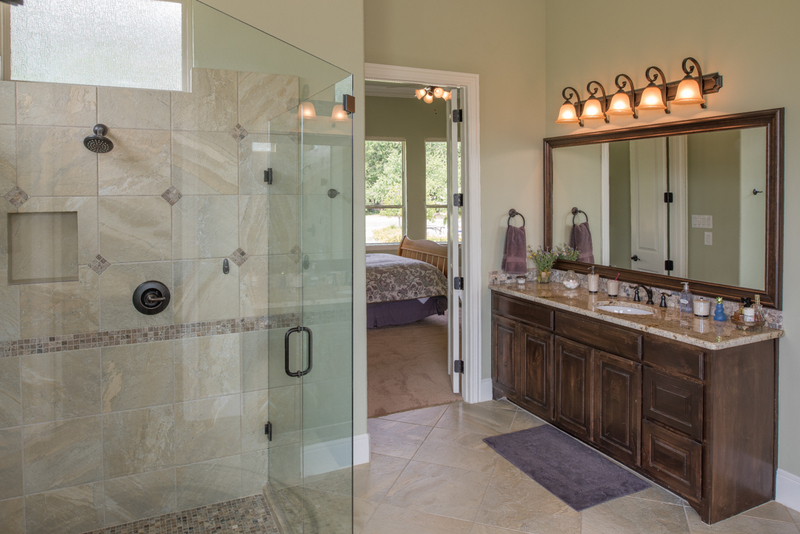 The separate vanities have granite surfaces with custom mirrors and premium fixtures and lighting. 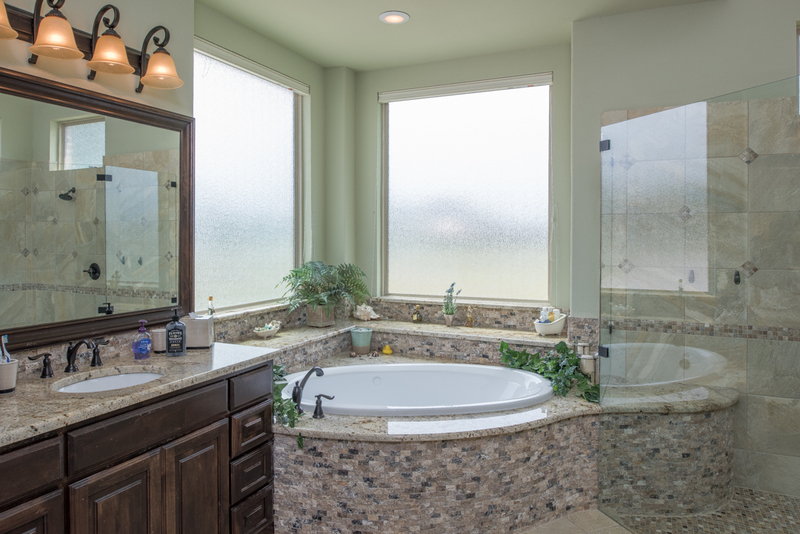 The large tub has a granite surround highlighted by tile accents and is positioned under large windows next to the huge walk-in shower that features custom tile details and a frameless glass enclosure. 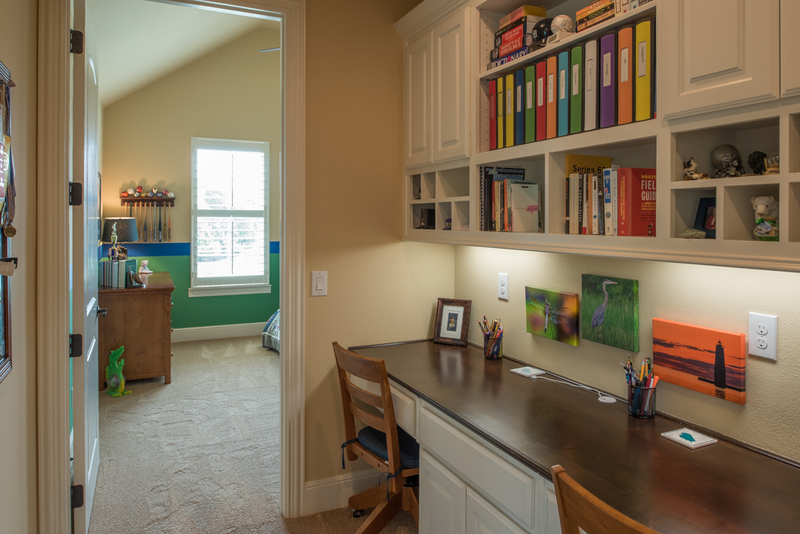 The large walk-in closet offers a custom wardrobe storage. 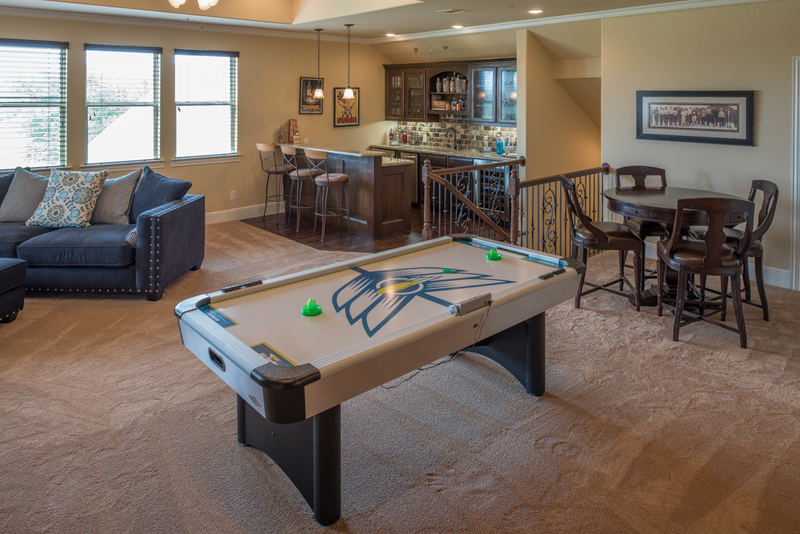 The second floor offers a spacious Gameroom with premium carpet, dual tray ceiling elements, and windows overlooking the rear property below. 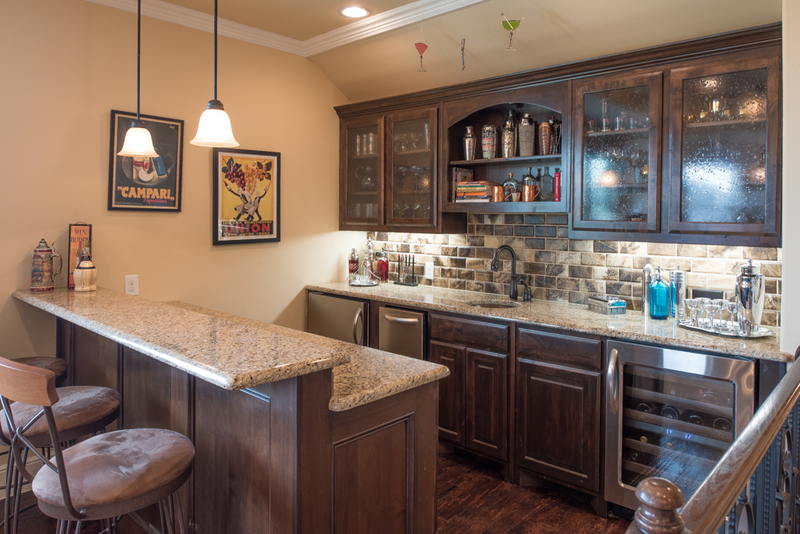 The room features a full wet bar with refrigerator, wine cooler, and ice maker with granite surfaces and custom cabinets. 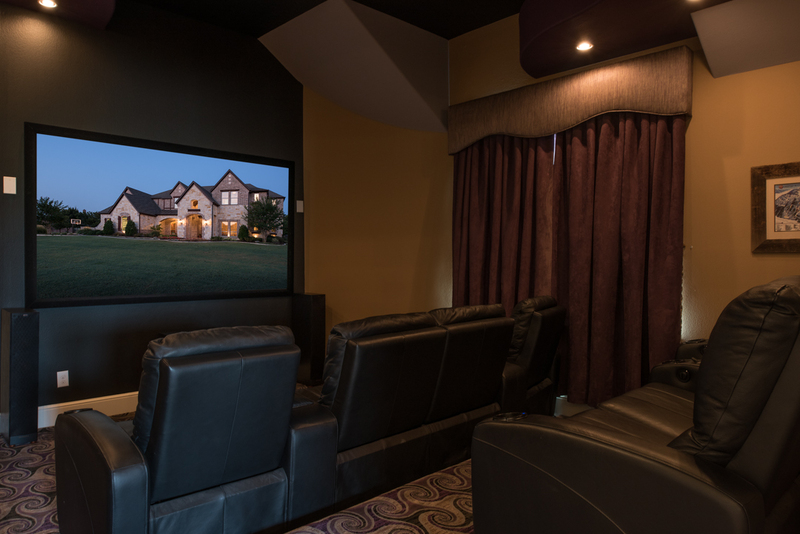 The adjoining Theatre Room has custom carpet with two-level seating and on-trend wall paint along with custom lighting. 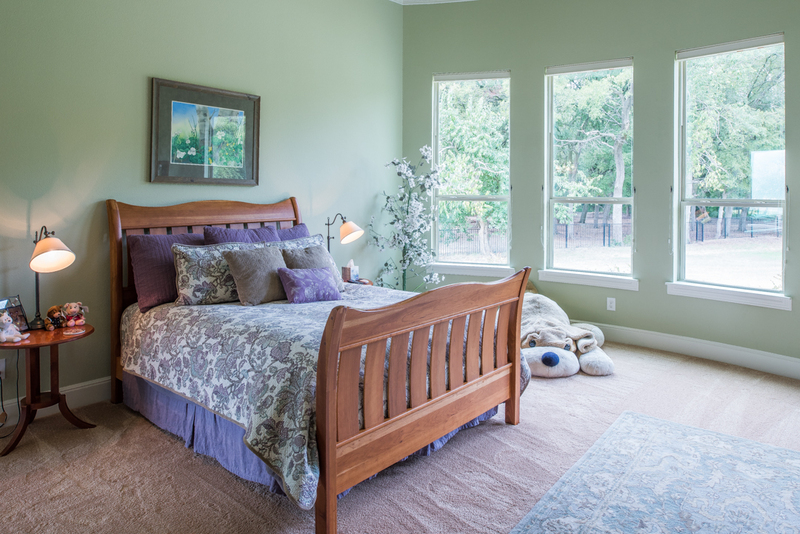 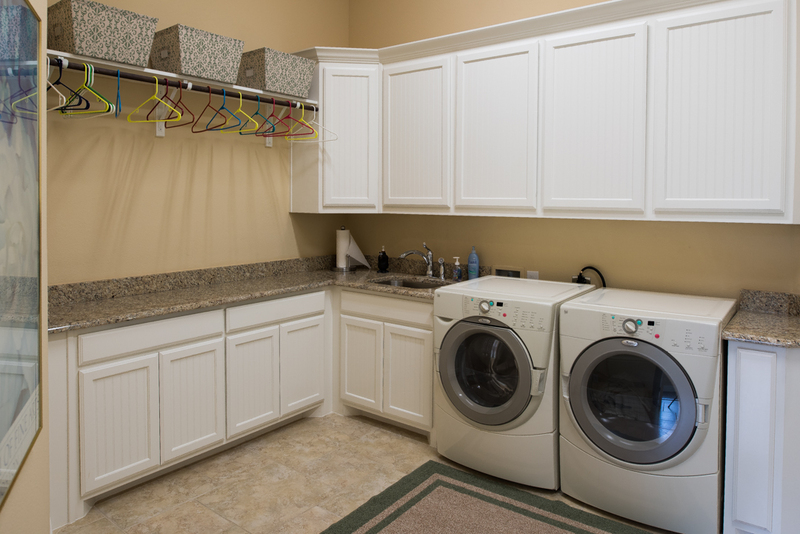 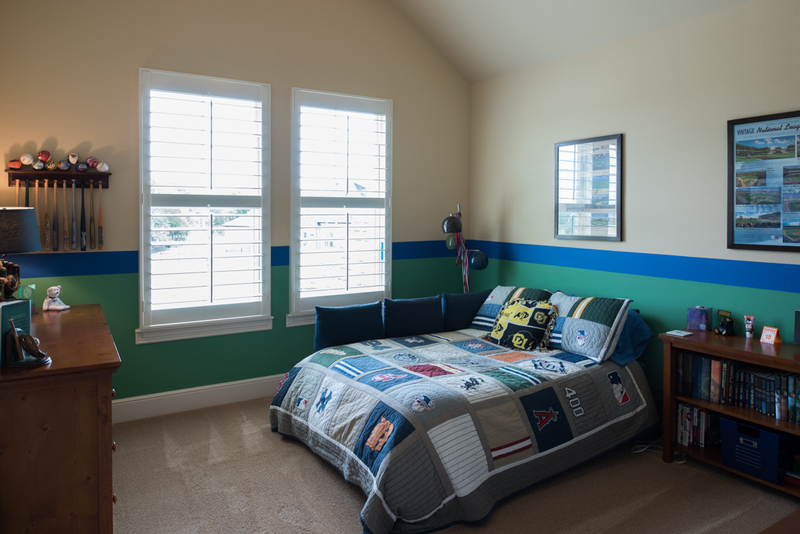 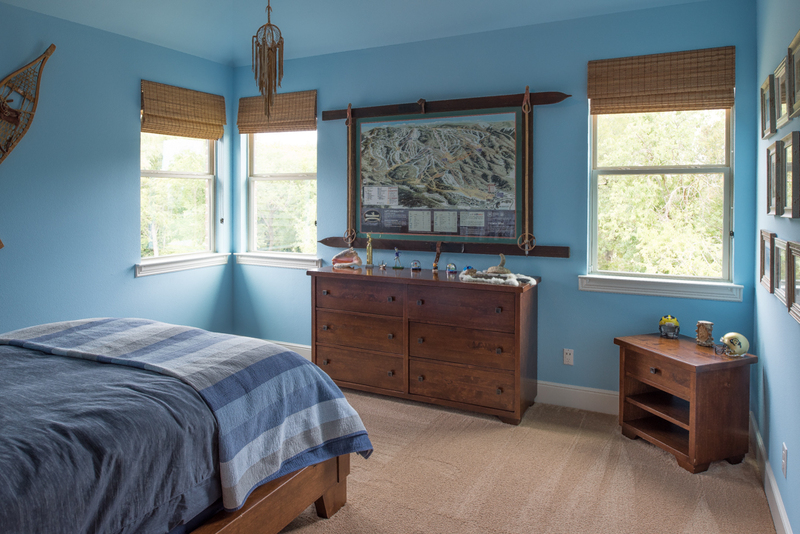 The Secondary Bedrooms offer premium carpet and custom wall paint along with walk-in closets and adjacent full bathrooms with granite surfaces and top-quality finishes. 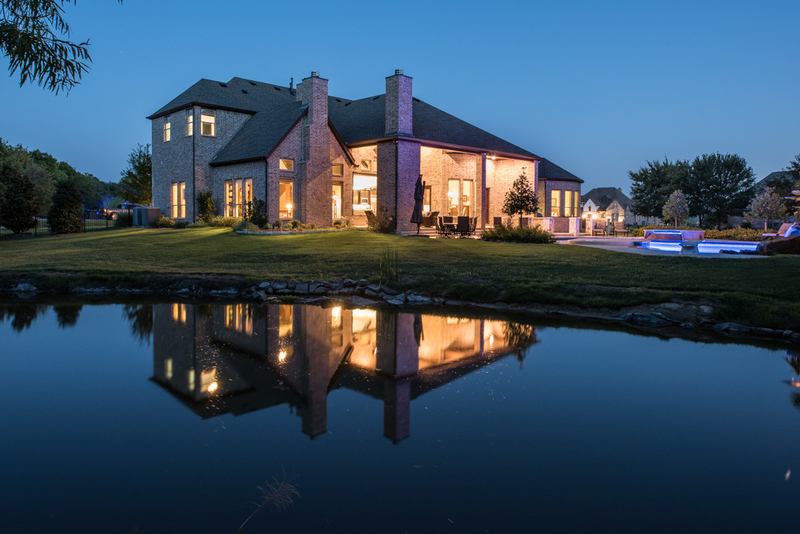 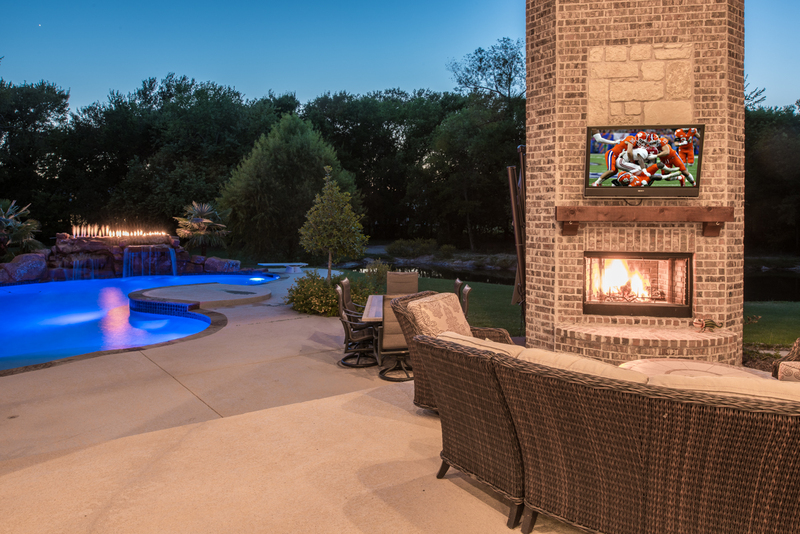 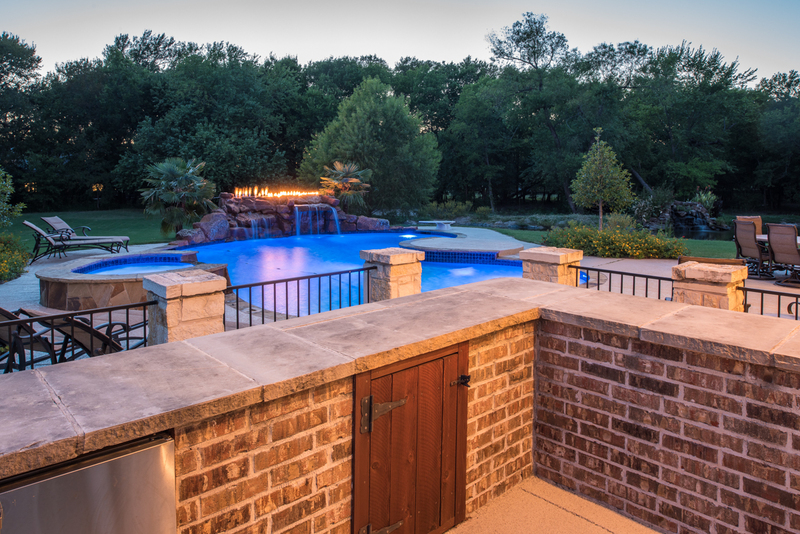 The residence features a large Outdoor Living Area with a brick and stone fireplace, a built-in bar with refrigerator and separate cooking / grilling station with abundant storage. 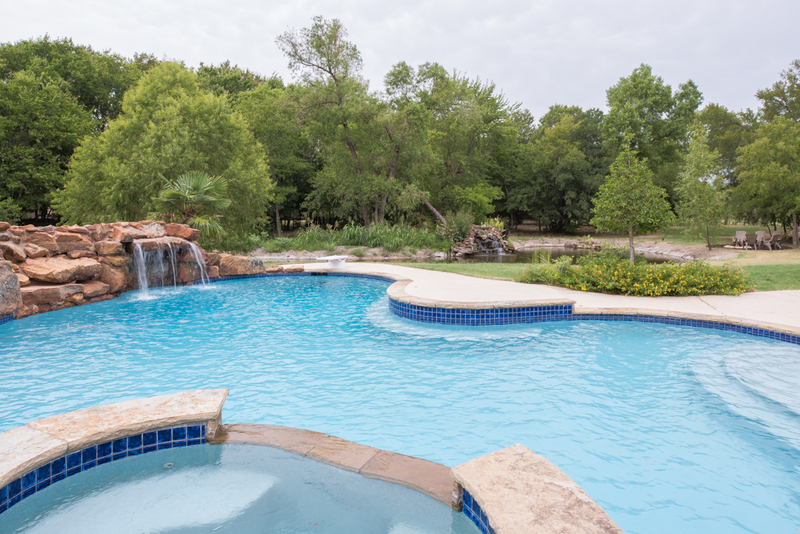 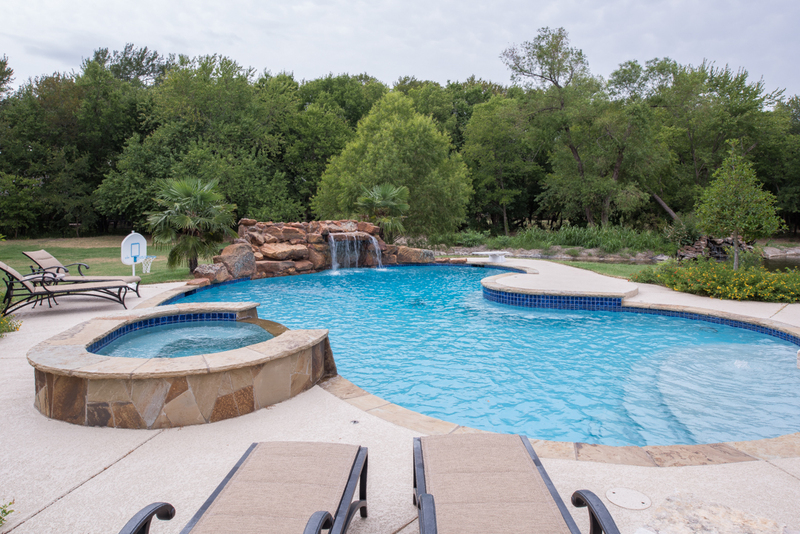 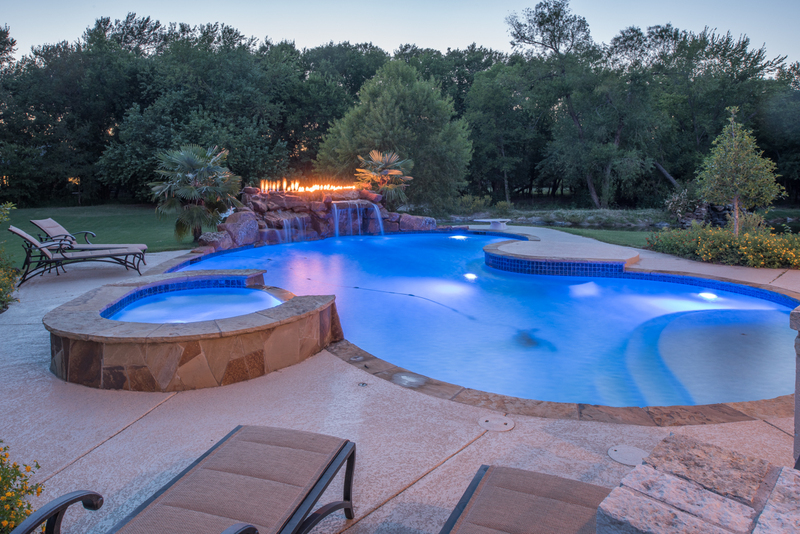 Step down to the resort-like pool and spa with rock grotto encircled extensive decking and professionally planned and maintained landscape beds. 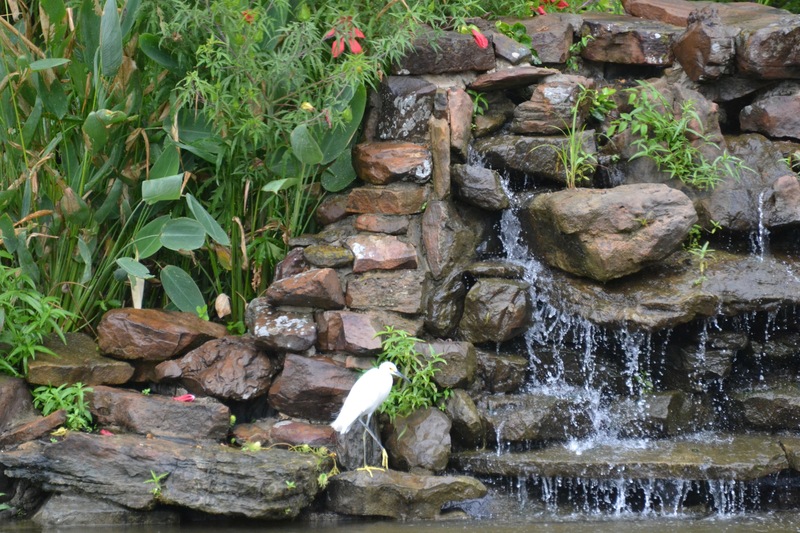 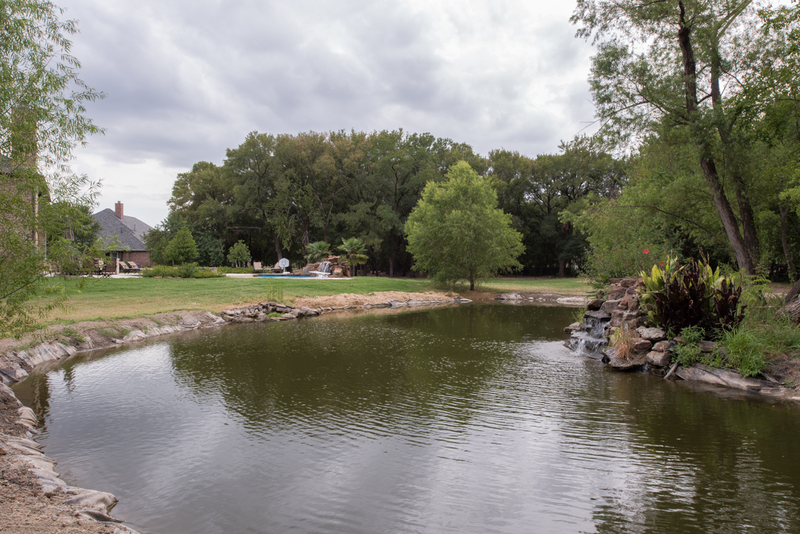 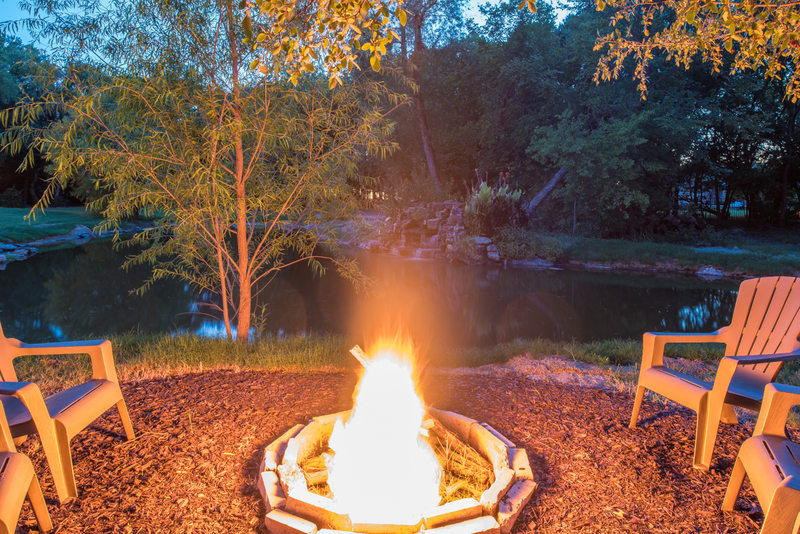 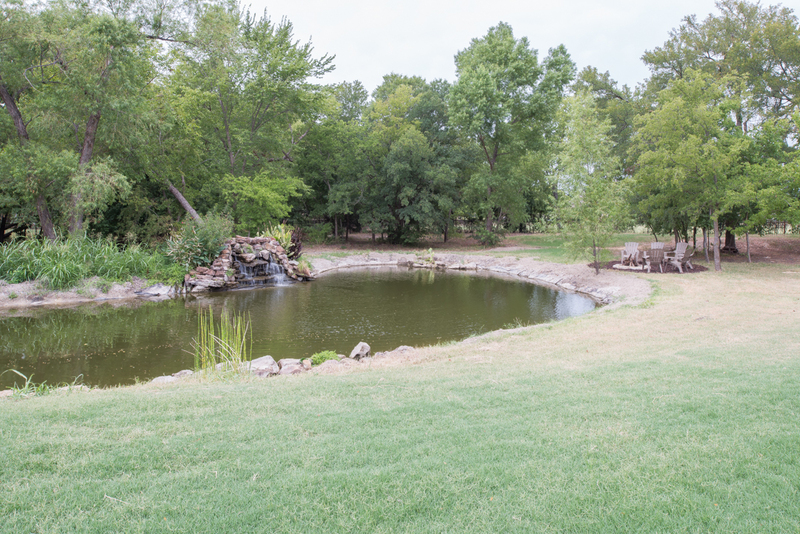 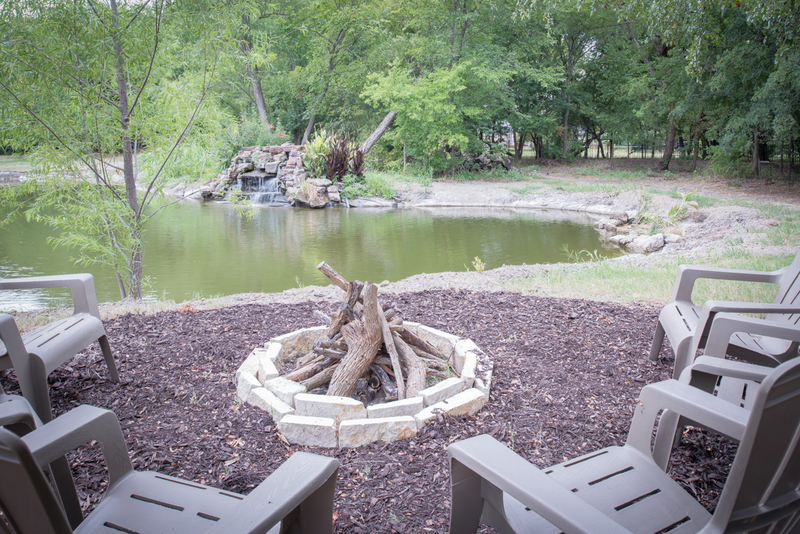 The expansive rear property offers a spacious lawn area and a large fish pond with waterfall element stocked with bluegill and catfish surrounded by native trees and woods.